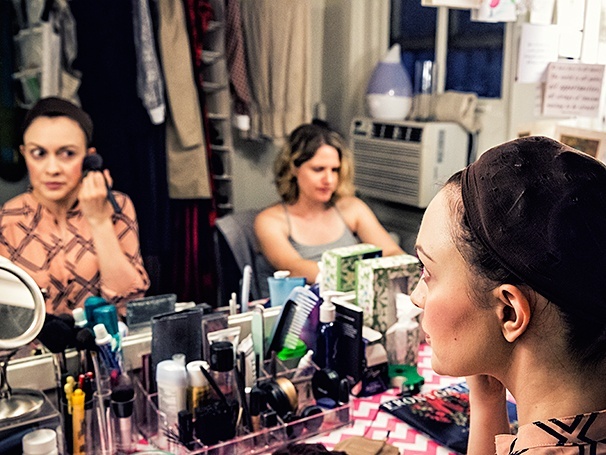 Ensemble member Catherine Walker applies her blush. Jefferson Mays, Bryce Pinkham and the cast of A Gentleman’s Guide to Love & Murder welcomed Broadway.com photo editor Caitlin McNaney backstage for an exclusive look at what goes on behind the scenes before (and during) a performance of the Tony-winning musical! Click through the gallery to be a fly on the wall at the Walter Kerr Theatre.